I started playing ultimate when I first started university. I was signing up to basketball next door when I got handed an ultimate free taster leaflet. Went to the first session and never looked back. Before discovering how interesting, fun and competitive the sport is, it was the people who kept me going back. Everyone was really nice and friendly and felt like people who I wanted to be friends with. Diverse and adaptive. Because of how small I am, it is not hard to play bigger than I look so sometimes I could produce plays that seems like a surprise. Sidelines and team atmosphere are crucial to my game. It’s easier to step up your game when your teammates are doing the same and supporting you. 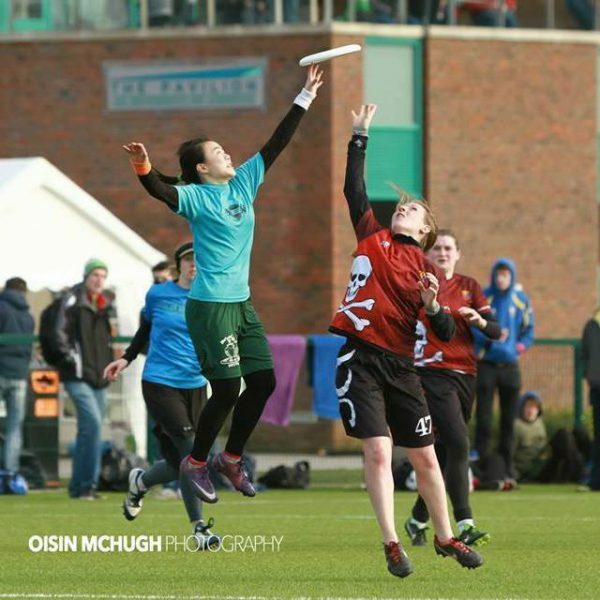 Too many, I am still relatively new to Scottish ultimate but have already received help from so many players from Scottish ultimate, some of which have now left Scotland. As the only second team to earn a spot to Uni Indoor Mixed Nationals in 2015. Then defy all expectation being seeded last, ranked 1st after the first day and finished nationals in the 6th spot. Another great memory is working hard with GUX to get a spot to worlds. Playing at the highest available level, watching and learning from the best players our age, testing my limits and all the fun times! Koala, they simply sleep and eat and looks cuddly. What advice would you give to someone thinking about trialling for a national team in the future? Don’t second guess yourself and go for it! Always apply for the opportunity to trial first, if possible. High level trials are a great opportunity to push and test yourself.